Dartmouth has launched a website to educate students about sexual consent, offering guidelines for interacting with potential partners and avoiding miscommunication or other harmful behavior. Read the full story at Dartmouth Now. 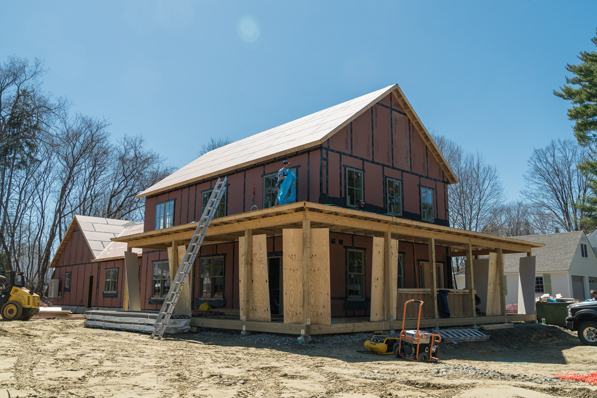 Construction is nearing completion on four new homes for professors as Dartmouth works toward the fall 2016 launch of a new residential life model. Work begins Monday on the innovative building called a “Sprung structure” going up beside Davis Varsity House that will serve as a social space for the North Park and South house communities. A planning grant helps shape how Dartmouth recruits and supports minority faculty.